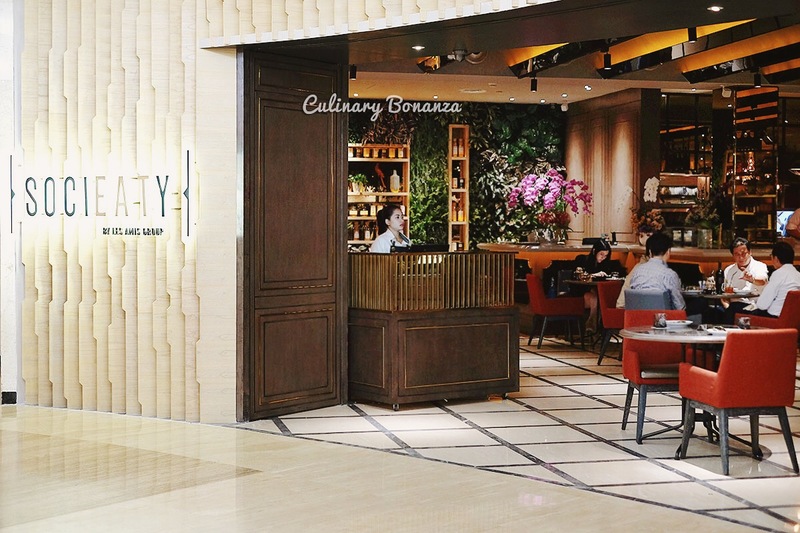 It's only been a few days since I dined at this new restaurant in Jakarta and I have recommended this place to thousands of people on my social media and a few friends directly. You know, to a foodie like me, nothing beats the excitement of knowing that others find my recommendation as valid and that they enjoy dining at the place I spoke highly of! 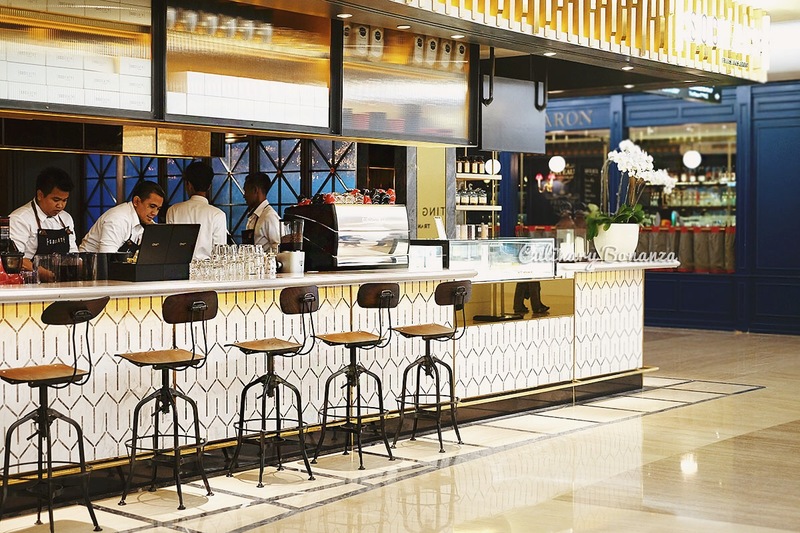 This new place is Socieaty by Les Amis Group. Who is Les Amis Group, you ask? 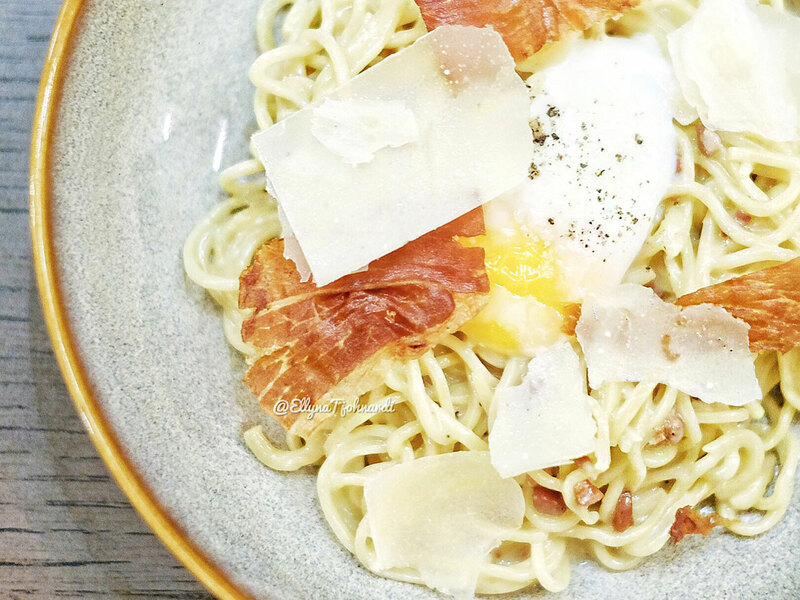 First of all, Les Amis from Singapore placed number 13 on the list of Asia's 50 Best Restaurants, a prestigious league of restaurants in the whole Asia, curated by select judges and the list changes annually. 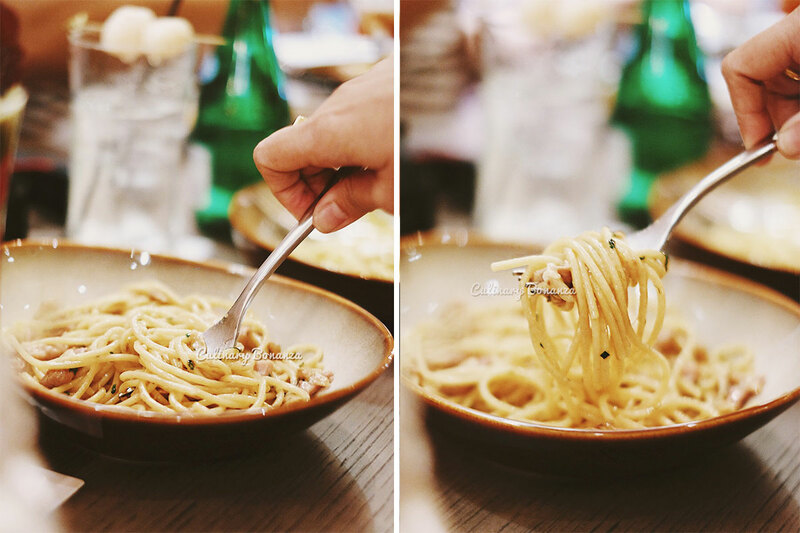 The group that helms Les Amis, also owns a slate of assorted restaurant brands in Singapore, just to name a few: an Italian trattoria - La Strada, a French eatery - Bistro Du Vin, a Spanish themed La Taperia and a dainty bakery Tarte. Now, imagine if you could have some of these renowned brand under 1 roof? Is it fantastic or what? 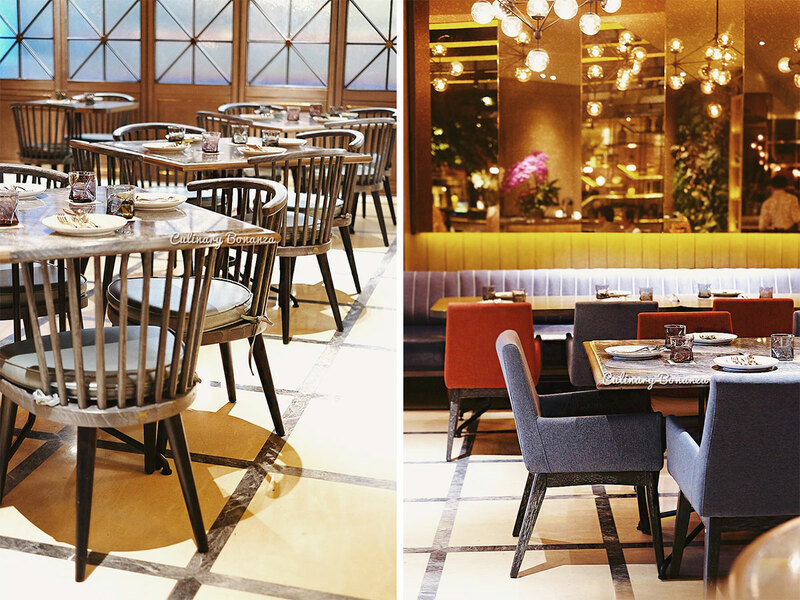 I'm honestly happy that Les Amis group chose Jakarta as the location for its overseas venture. While I rather regret the choice of venue inside a shopping mall, I'm still glad nonetheless because they choose the shopping mall that I frequently visit, Plaza Indonesia. 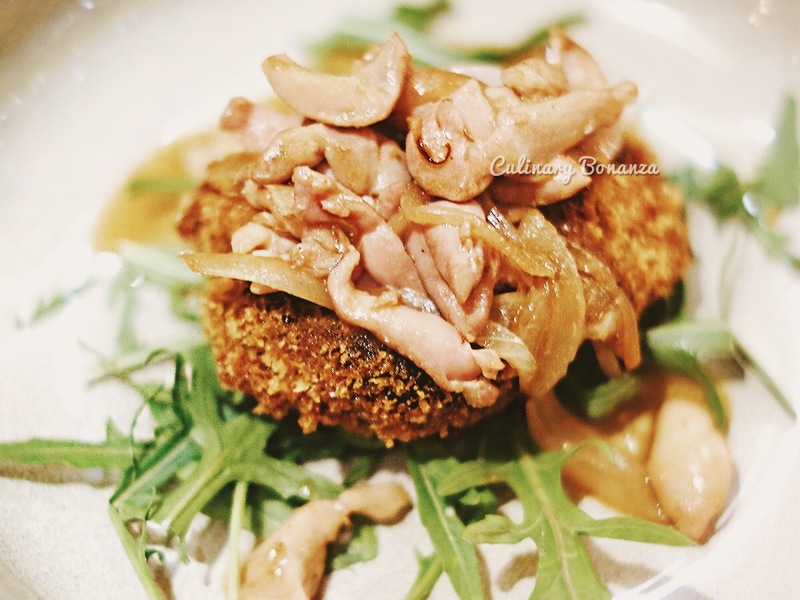 A place with great food like this, deserved its own independent venue, replete with tall windows and bright interior, as such, guests will be able to not only boast about the food verbally, but show with breathtaking photos as evidence. 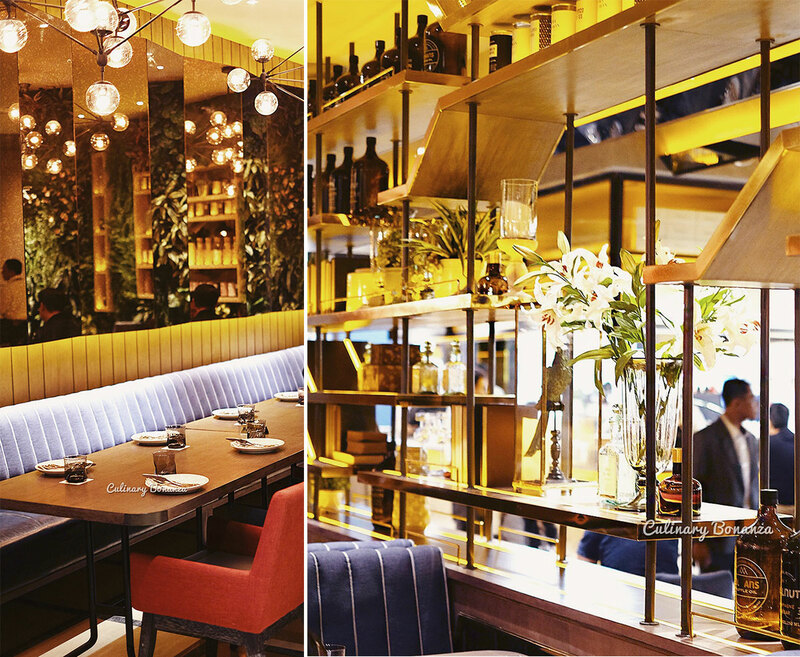 That being said, I think the interior concept still suits its label as an all-day European dining. We started our meal with the appetisers: Fried Baby Squid, Spicy Chicken Quesadilla and Portobello Pollo. 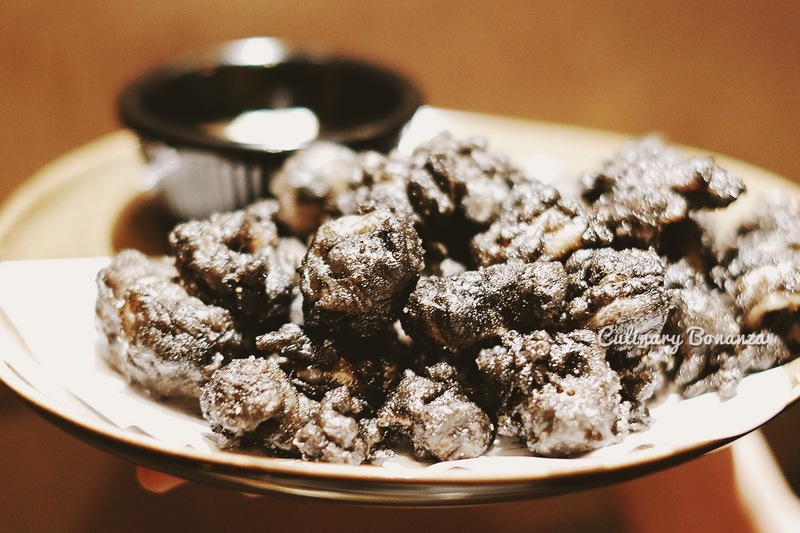 And yes, the Fried Baby Squid is not actually photogenic nor was it easy to shoot (how to make an all-black greasy mess look tasty?? 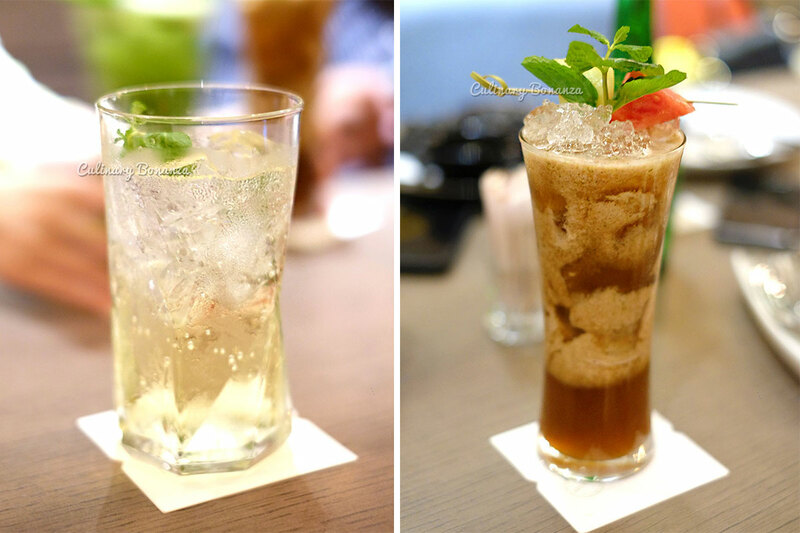 ), but the taste revealed an entirely different side of it. 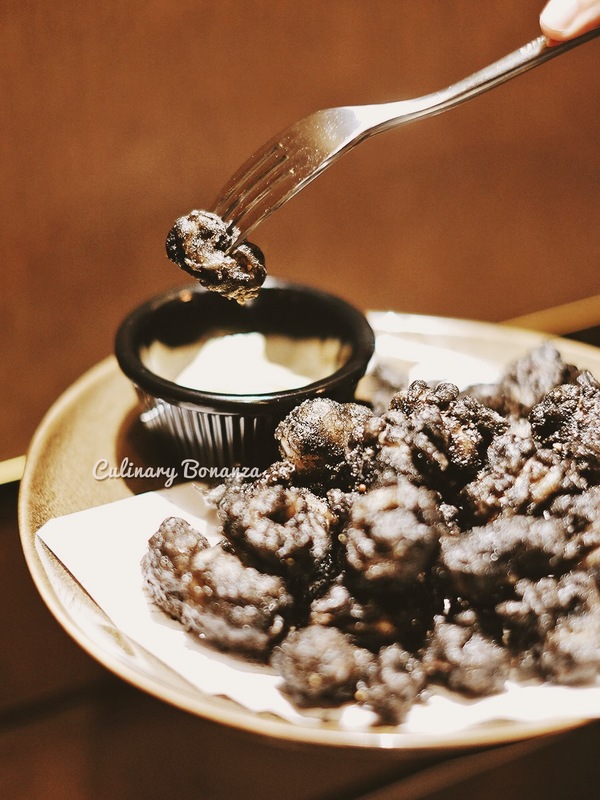 I'm always skeptical about food with squid ink, because they are always on the extremes: 'really good' or 'make me wanna puke', and these black bites are well beyond 'really good', they are addictive! 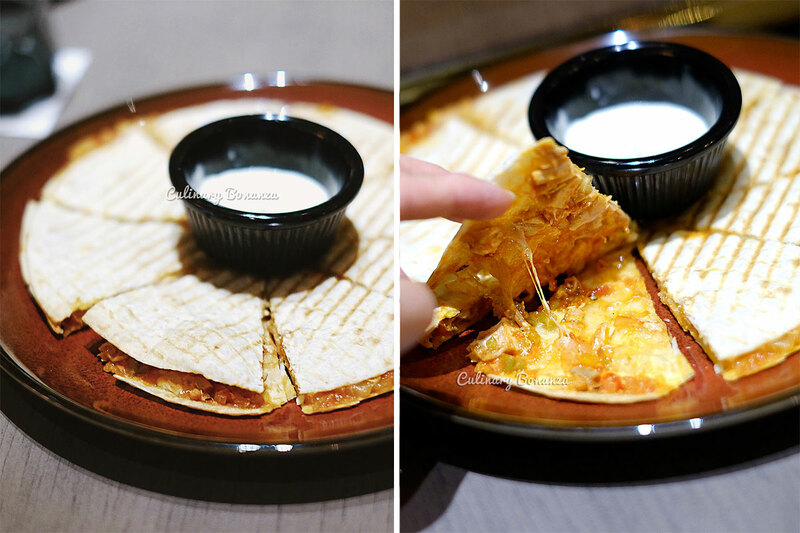 On the other hand, the Spicy Chicken Quesadillas, despite the price, is seemingly a favourite of many guests here (I saw the kitchen crew prepping the same dish many times at the open prepping counter just beyond the main kitchen. The Portobello Pollo fared just as well, with the balanced taste and texture. 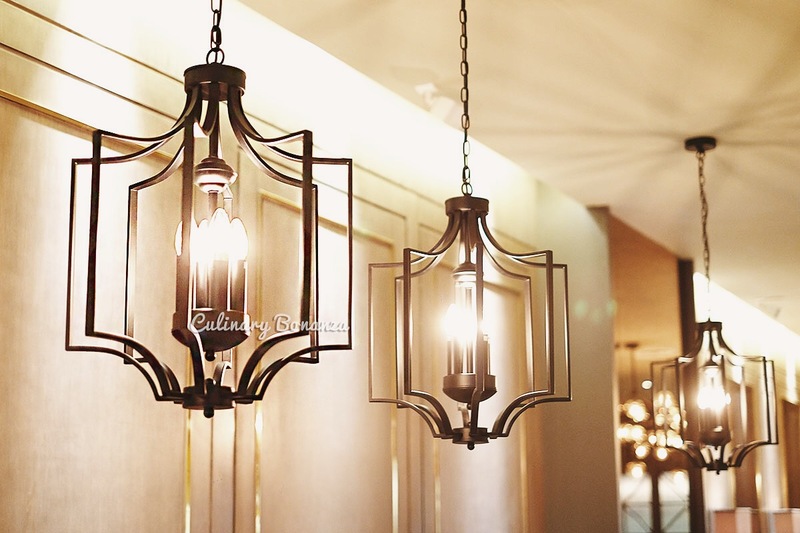 I must admit that the price of Appetisers already tells you that this is not your ordinary western style cafe / restaurant, it's high end for sure, but it's still accessible and worth paying for in my honest opinion. So you are NOT allowed to complain about the price if you're a frequent guest at places like Union, Le Quartier and such! I was able to keep my calm after the 3 fantastic Appetisers, but what came next unraveled my coolness in the messiest and most delicious manner! 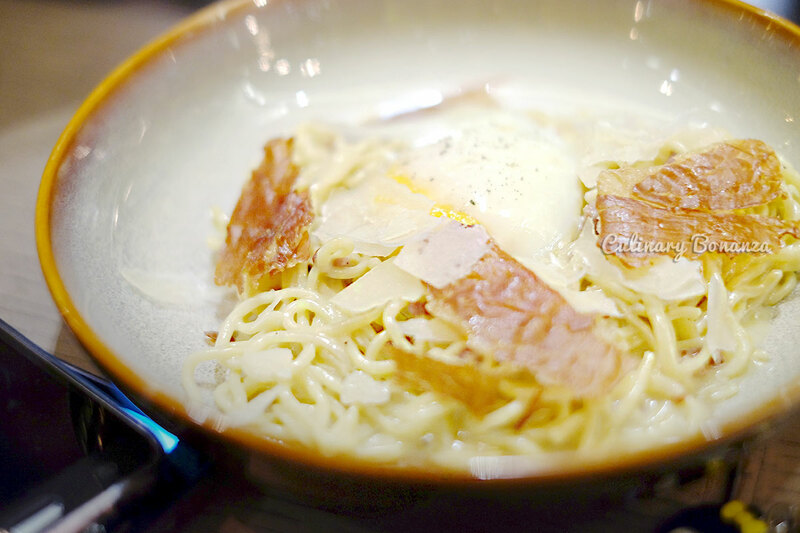 The Truffle Carbonara is a must try, especially if you love: 1. runny creamy egg, 2. ham, 3. truffle, 4. perfectly cooked fresh pasta. Those 4 combos seem ordinary and easy, but not many actually can get those 4 right at the same time. The first mouthful was like an enlightenment moment to me, so rare and so divine! 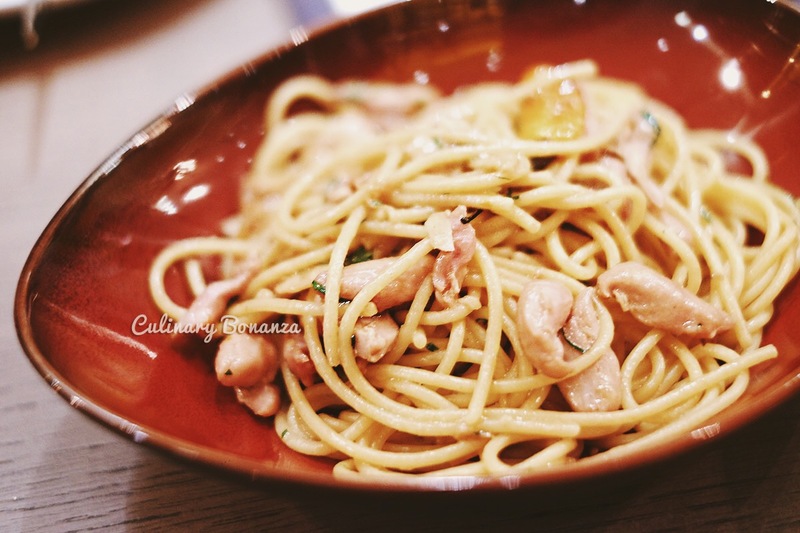 If you wonder why the price is quite steep for a plate of pasta, well, other than the ham and truffle, the cost goes into the (spaghetti a la) chittara, which is freshly made by the kitchen staff daily. 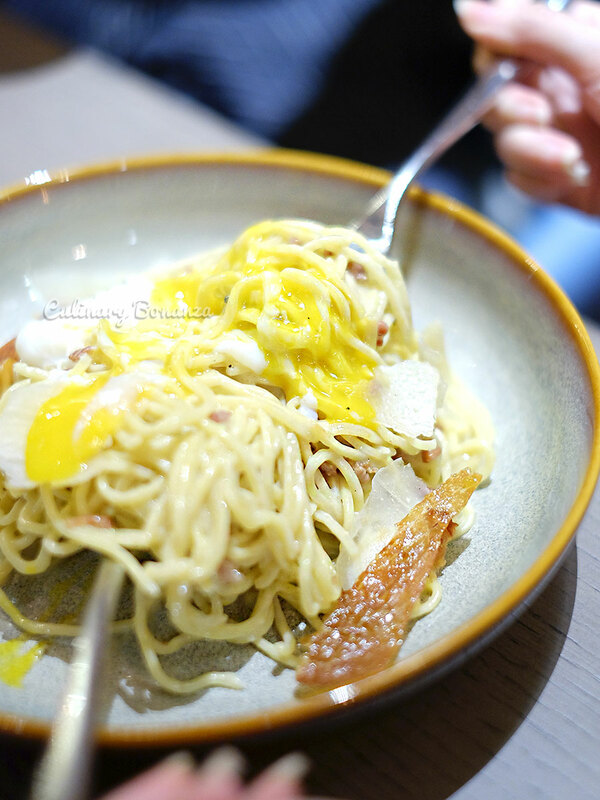 Quite the contrary (price wise) to the Truffle Carbonara, is the Aglio Olio, which is reasonably priced. 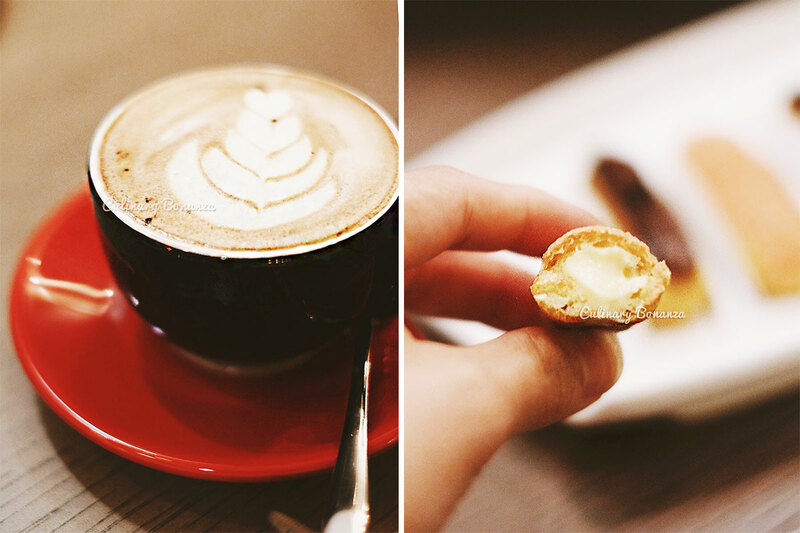 But the taste nd texture are still top notch, kudos! 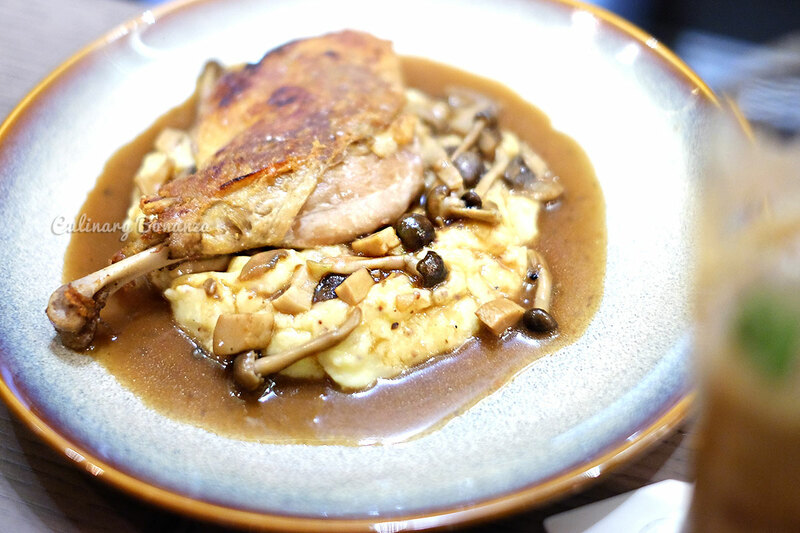 Moving on to the Main Course, despite our tummies almost filling up to the brim, I couldn't resist wolfing down the delicious roast chicken and the duck leg. Both meat scored well, but it was the side dishes that actually got me hooked! 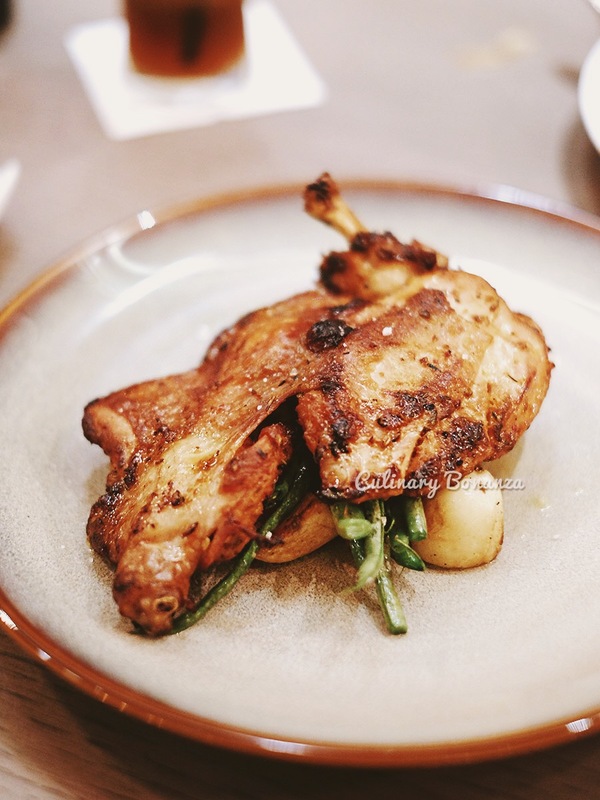 The roast baby potatoes and green beans in the chicken might as well be a dish of its own haha! The pommery mustard mashed potato should too, it's so incredibly smooth, but still has the chunky potato bits inside and it melts in the mouth with such lovely butter-y potato-ey gooeyness. After what seemed like lovely surprises one after another, we ended the divine meal with an oomph! The Floating Island dessert and the tarts are highly recommended, and I'm pretty sure even non sweet tooth will enjoy these too! 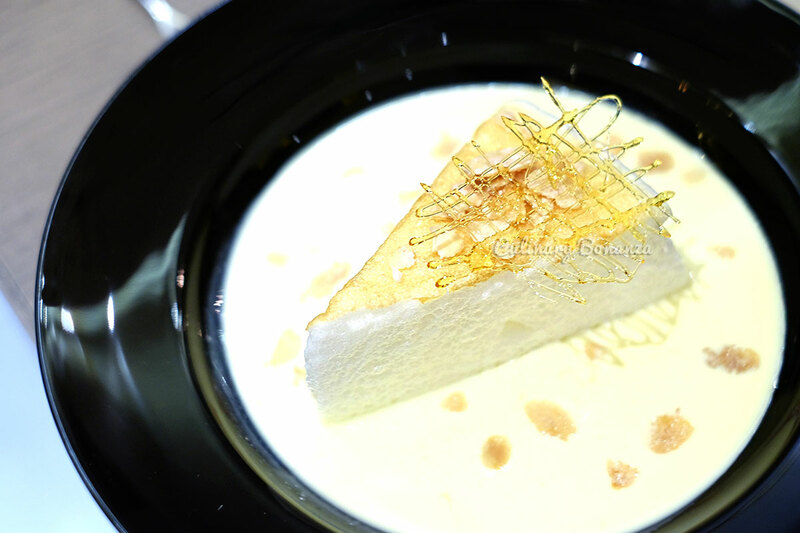 The Floating Island itself is not too sweet and very light (although I personally will eat this with a lot of the vanilla sauce and candied almond), so you won't feel bloated after eating this. 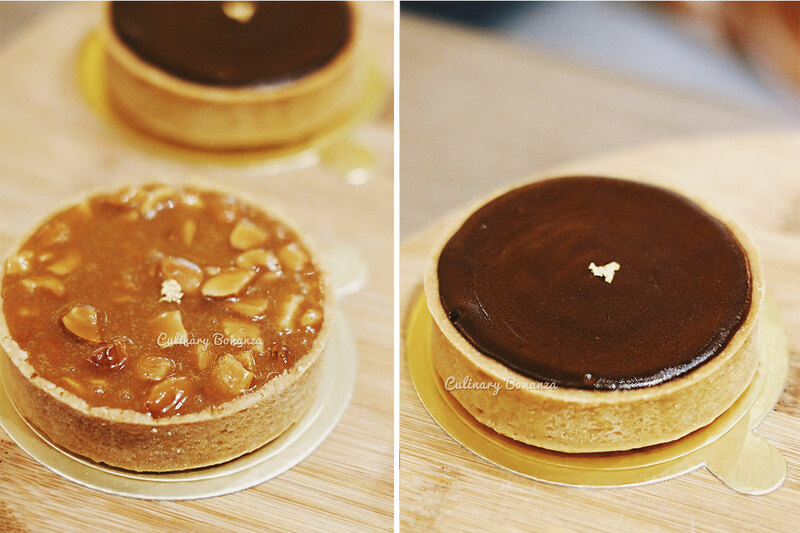 These delectable tarts use the original recipe from Tarte by Cheryl Koh, the Pastry Chef of Les Amis. 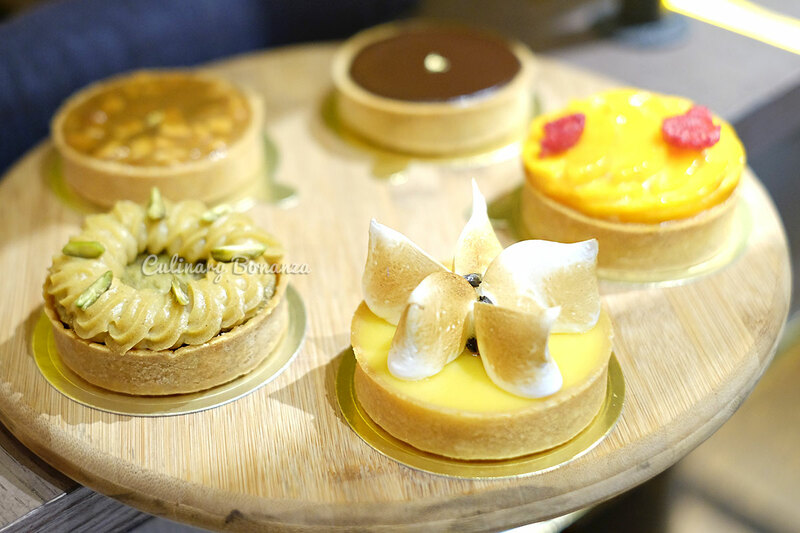 The best tart I've ever wolfed down so far, the crust is thin, crispy but not crumbly with assorted great fillings, but my favourite is the Harum Manis Mango and Dark Chocolate Tart. I can have two of that at one go! 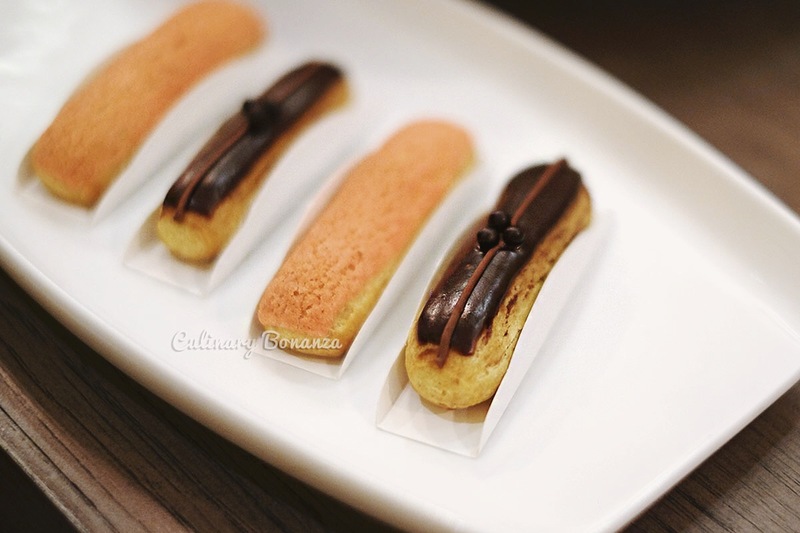 The meal ended lastly with these finger-sized Carolines, like eclair, but mini the version of it. What can I say, even these scored very well...I am absolutely SOLD!